Its important to me to be able to listen to podcasts or music when I’m out and about. I do this through earphones and my mobile phone. However, my earphones constantly stop working, and usually changing them doesn’t help because the problem is with the jack. I’ve replaced my phone less than six months ago and its happened again! Over-ear earphones for on the go so I don’t have to constantly be taken my hearing-aid off. However I have only found one type that fits. However I’ve had 4 of these break on me in the 4 (or so) months I’ve had my hearing aid. Wires and me do not tend to mix. Therefore my ideal type is Bluetooth Headphones. Other than them running out of battery, I’ve had 3 of them in the last 5 years. One time was a factory fault, and the other 2 were because I was too rough pulling off my head or out a back and so they snapped. So Bluetooth is where to go. Any shape “ears” that work for you. Sound-Wise they tend to emphasise bass, but only as a musician did I spend extra time finding ones that had a more neutral setting. Okay! I’ll take the plunge! And just to check, if they are bluetooth then it doesn’t matter if my headphone jack doesn’t work? ooh okay that sounds quite promising, thank you! Audio Jack adapter (useful if you run out of battery on-the-go, or if like me, you need to edit audio and bluetooth has a tiny delay in the visual-audio (not much, but enough to make editing sound tricky). Good button placement, if different from the other pair. Cost effective - I purchased for £20 in a sale, but usually £40. 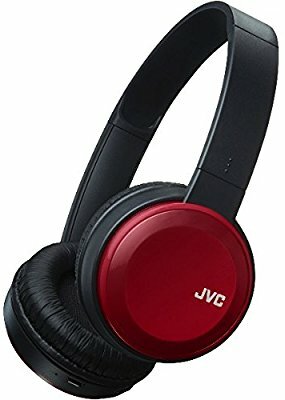 Good audio quality - round, but not bass-y. The only criticism is that the audio cable provided is rather small, but these aren’t expensive to buy if you need a longer one. I have never tried wireless headphones but in case anyone comes here looking for wired headphone recommendations: for what it’s worth I have a pair of Urbanears headphones (the kind that go over your ears instead of in them) which I bought in July 2016 and they are still going strong! https://www.urbanears.com/ue_gb_en/plattan-2 They were £30 at the time but they appear to have re-issued them with better spec so they are now more expensive. They aren’t noise-cancelling but they’re pretty good quality and comfy to wear for long periods of time! Oooh, they have beautiful graphics on their website. How irritating! I don’t like that they do that now. Though, to be honest I prefer wireless as I’m so clumsy that I usually end up damaging the wire. Perhaps you could set a reminder? Maybe you could buy a cheap pair as a spare? - That way you can have them on rotation. I tend to charge mine at least once a week. I use them daily for most of the day so they get a good life. I bought some cheap ear phones to start with and those I needed to charge every night (though not overnight maybe only for a couple of hours). But I since got these the charge lasts much longer. I think keeping an ubs charging cord in your bag can be quite useful as there I see USB plugs around quite a bit now. They are on buses in Cornwall!